I wanted to share some news about protest with you that was a bit less… gruesome than the recent protest in Prospect Park. The Valve Turners. From their website page, go there to see video and other information about their action to turn off the pipelines bringing oil through the US. 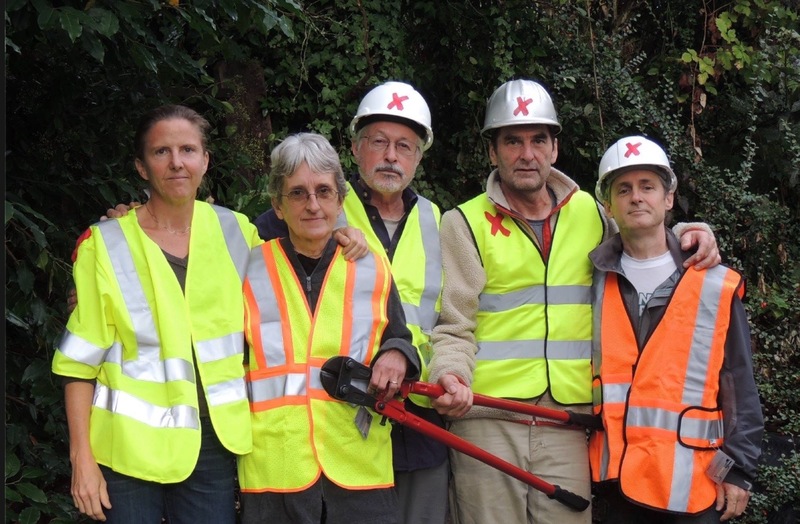 These are the Valve Turners, who’ve shut off oil pipelines and raised havoc with the companies pumping ‘unconventional oil’ (derived from the planet-wrecking practices of refining bitumen from shale and tar-sands). One of their members, Michael Foster, has been sentences to prison and could use friendly mail. Fellow valve turner Leonard posted contact info here. Not that the local folks in New York State working against fracking and pipelines aren’t also busy–they just put a thousand demonstrators on the street in Albany on Monday, the day after Earth Day, and over 50 were arrested. Here’s a pic courtesy of Roger Brennan of Protect Orange County. And on the anti-nuclear, anti-warfare front, The Kings Bay Plowshares struck at a nuclear submarine base in Georgia a few weeks back. The action was timed to commemorate the assassination of Dr. Martin Luther King, Jr. The protesters entered the site and proceeded to spread human blood and paint graffiti denouncing the US nuclear arsenal. Their support information is here–they’d appreciate letters and other forms of support. If you cannot find it in yourself to personally ‘stop the empire’, support the people who are willing to.